Travelling on holiday to a country for the very first time can be very exciting. You have a whole new adventure waiting for you, but there's two things that not many of us would like: 1. The idea of planning and 2. the feeling of foreignness. 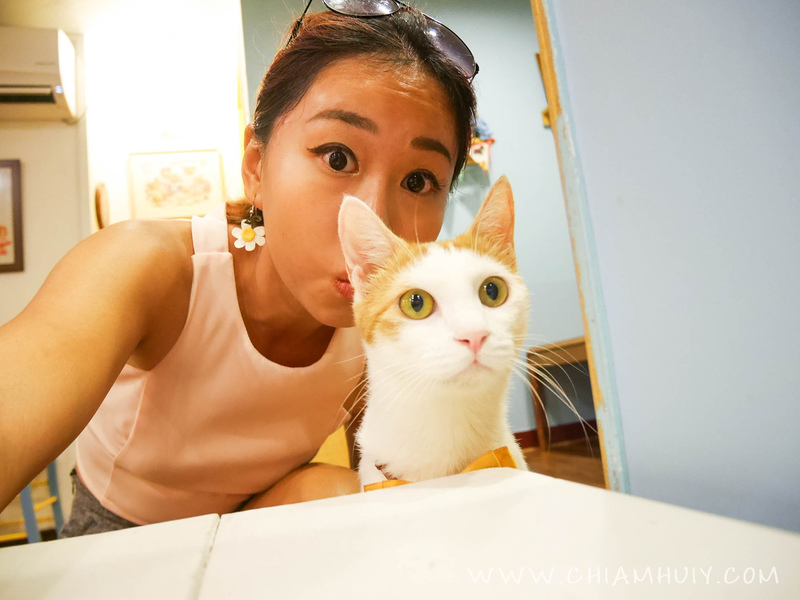 I know how frustrating it is to plan an itinerary, and likewise the feeling of going somewhere completely foreign. You have completely no idea what's awaiting you, how's the people like, how's the culture and what you should avoid doing in that very country you are visiting. 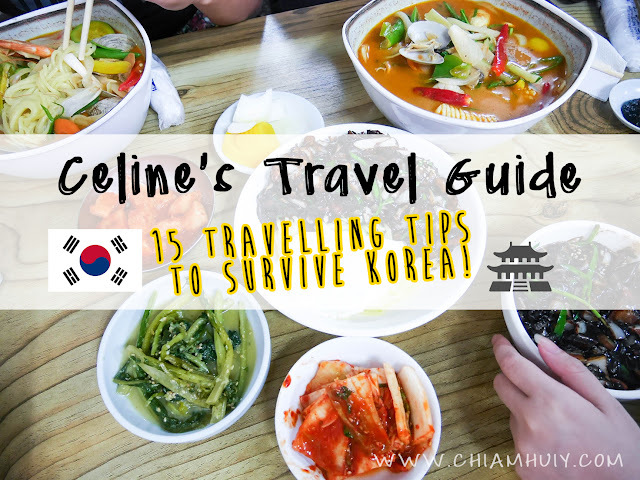 Which is why, I've decided to compile my guide to traveling in Korea based on my own individual experience, hoping it'll shed some light and preempt you what to expect when you visit Korea for holiday! :) Enjoy! 1. How many days is enough for Korea holiday trip? My trip was actually 8 full days (we arrive early in the morning on our first day, albeit we were dead tired). In this trip, we joined the K Shuttle tour from US Travels for 3 days, it brought us along the route from Seoul to Busan, hopping cities like Buyeo, Jeonju and even Gwangju! 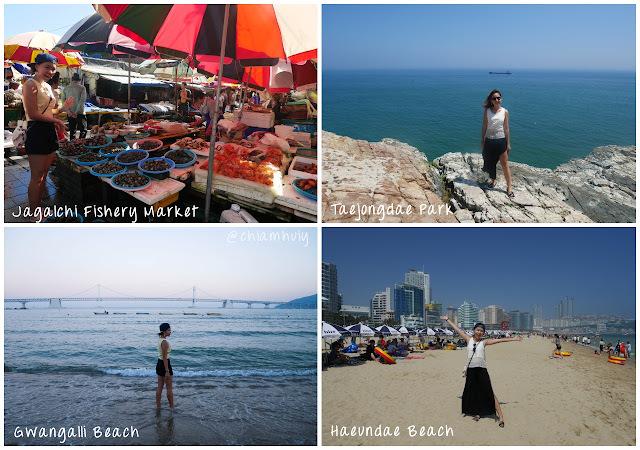 We had 2 days in Busan, and another 3 days in Seoul. I know I've missed out quite a lot, like the famous Jeju Island (which you have to fly there or take long duration ferries) and many other iconic places. I think ultimately it depends on what's your main purpose to visit Korea: is it for the sceneries and cultural destinations, or more of shopping? 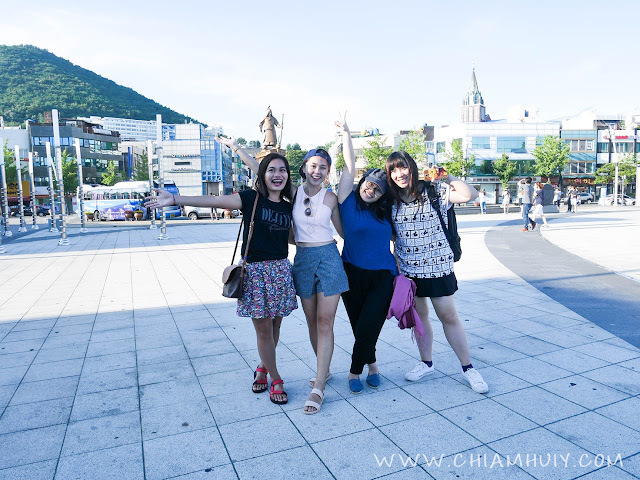 I find 8 days enough, but 10 days could have been better so that I can touch on more places like Gamcheon Culture Village in Busan and Bukchon Hanok Village in Seoul. If you're here solely for shopping, 8 days is more than enough!! The official local language is of course Korean. However. be prepared that most of the vendors do not speak English, even in touristy areas. If you're a chinese, you can still understand a little as they know a few chinese characters like the price of their merchandises. If you're not... You may have to start doing some hand language with them. Unfortunately, most of the locals can only understand a little bit of English and they can hardly converse with you in English. Each 1000KRW is about SGD$1.2. My friend taught me to simply add an additional 20% of the korean won and remove the 3 zeros behind. 10000KRW would be of course around S$12. Go by denominations of 1000 would make your calculation easier. Most places accept credit cards too. My exchange rate that time was SGD1 = 842 KRW. I changed money at Raffles Place Arcade. Trains arrive on time and on a frequent basis. 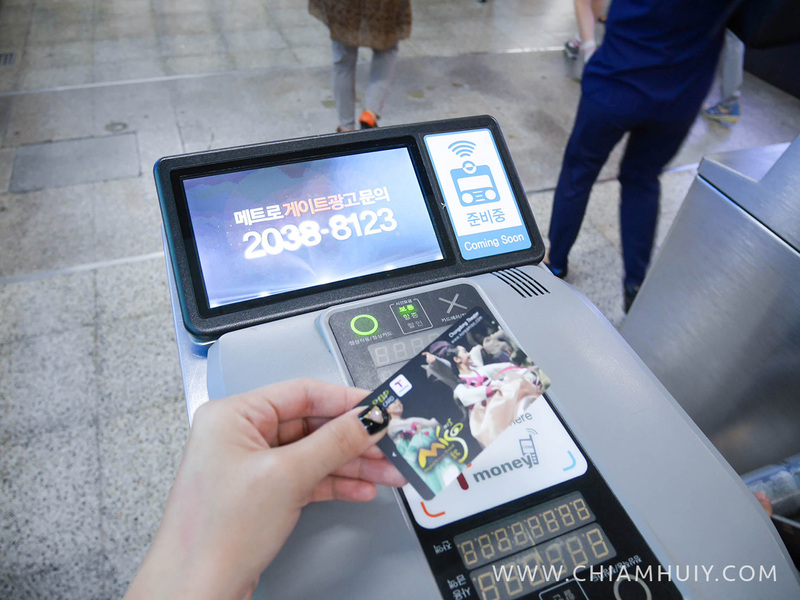 If you purchase the Korea T-money card, which is our ez-link card equivalent, each ride would mostly cost 1250KRW (~S$1.50) unless you go slightly further, then it'll add another 100-300 KRW. You have to tap in and out of the gantries when you board the train. I was told that that cabs here are pretty cheap too. But avoid black cabs here as they can be quite expensive. Take those orange/silver ones. To put into perspective, I cabbed from Taejongdae Park to Haeundae Beach for 1/2 hour for 20,000KRW, including toll fees. I've met an unethical cab driver who wanted to extort a fare of almost 5 times of the normal fare and I got off the cab instantly. So be careful on this aspect. There are quite a number of public toilets wherever we go, and to my pleasant surprise they are generally clean. You can also often find toilet paper in public toilets. On the other hand, it is extremely difficult to find dustbins around so you may have to carry your trashes for quite a distance before you find one bin. The period when I was here in Late July to early August can be seriously hot. The government even announced a heat wave warning. So my recommendation is to come during spring, which is between April to June. September's cooling weather is great too. If you're here in July like me, make sure you bring lots of sunblock and aloe vera gel to defend yourself against the merciless sun!! You can barely open your eyes if you don't wear a cap, the sun was just SO GLARING. 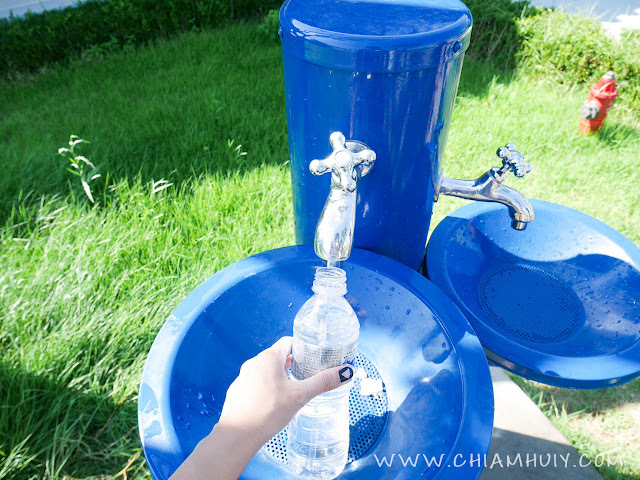 My friend Carolyn also mentioned that the tap water here in Korea is drinkable. Tried and tested, I experience no sickness after drinking from their tap water. If you still do not feel safe about it, you can purchase bottles of water from their convenience stores or vending machines. They should not cost more than 1500KRW unless you are in tourist areas. 7. To join a tour or not? 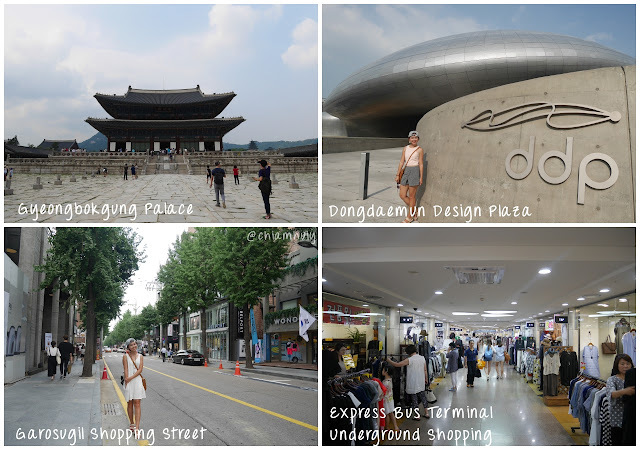 Definitely a yes if you would like to discover the outskirts of city centers like Seoul. 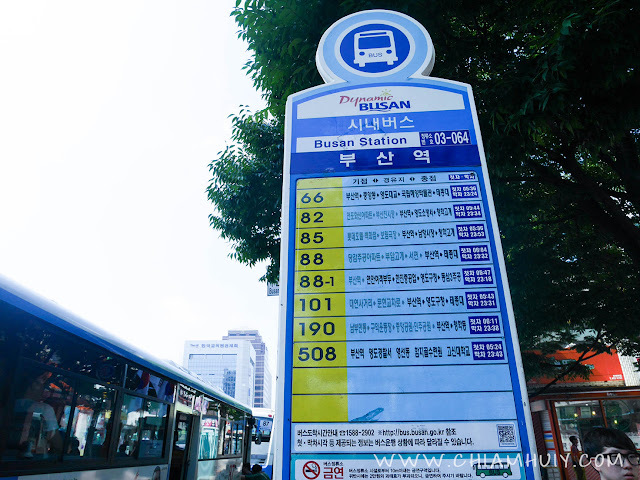 That are many parts of Korea that are pretty inaccessible if you do not have a guide or a tour bus to bring you around. For parts of my tour, we took the K shuttle tour (from US Travels) which is conveniently in English and we had an English-speaking tour guide, who speaks very fluent English. I just repeated 'english' thrice..oh well. Having a tour bus to drive you around saves you a lot of time to plan and the energy needed to drive around. You get to rest on the bus from destination to the next, so that you have the energy to continue discover your next destination! 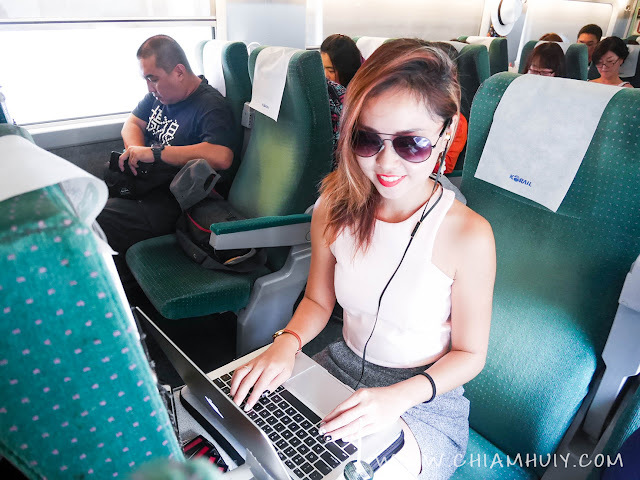 For first time travellers, travel apps are really useful. The train maps might look daunting because it's so complicated, and it surely doesn't help when there are Korean words on it, making it look even scarier. 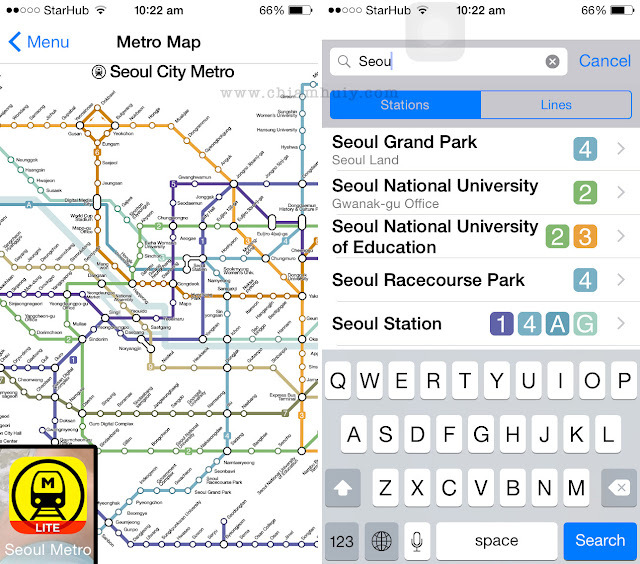 You'll be glad to know that train line map apps like Seoul Metro and Busan Metro Map will save your life here in Korea. 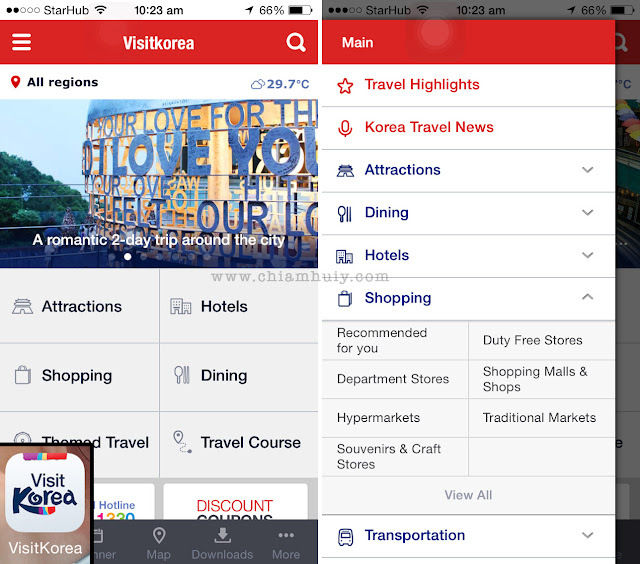 For more travelling and food tips, they also have a VisitKorea app that is pretty useful too! I read from TripAdvisor that the tax claims counter refund your taxes almost on the spot at the airport. To claim taxes, you usually only have to spend more than 30,000 KRW (which is ~SGD37) at the beauty stores in Myeong Dong, one of the famous shopping districts in Seoul Korea. 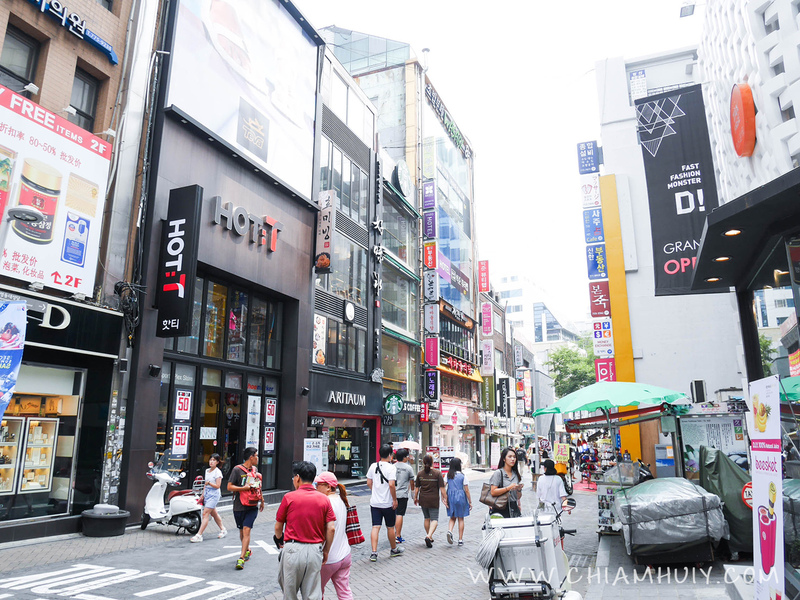 I have done up a guide to Shopping in Myeong Dong, have a read! However, I do warn that claiming taxes at the airport can be really troublesome and not economically worth it if you’re not buying very high-value items. I spent really lot on cosmetics and the amount I could claim from tax-free global was barely SGD30, so I thought it wasn’t worth the hassle. 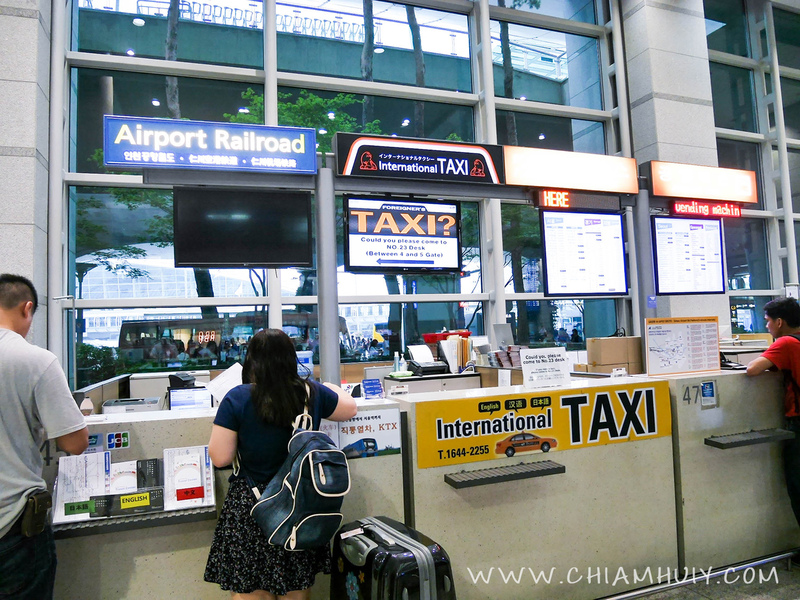 Check in at the counter but not luggage > bring your luggage to the tax-free claiming counter > open up your luggage for them to see the items you bought > get a stamp > bring back to the counter to check in your luggage. Yep, make sure it's at least some amount of money that is worth such effort needed! The duty free shops at Incheon International Airport (Korea) display their prices is US Dollars. You can of course still pay with your remaining KRW dollars. Just be aware of the US Dollar price tags. Both nice and rude, I don't deny. Be warned that some of the locals, especially the older generation, can be really aggressive. I wish someone had warned me about this beforehand cos I was quite shocked and upset when I have people shoving me aside at a crowded place, elbowing me just because I sat too close to him on the train (!?!??) and many other incidents. What I do know is that it's a custom that the Korean older generation naturally expects the younger generation to respect them... but I don't think this is how to ask for it. Meh. 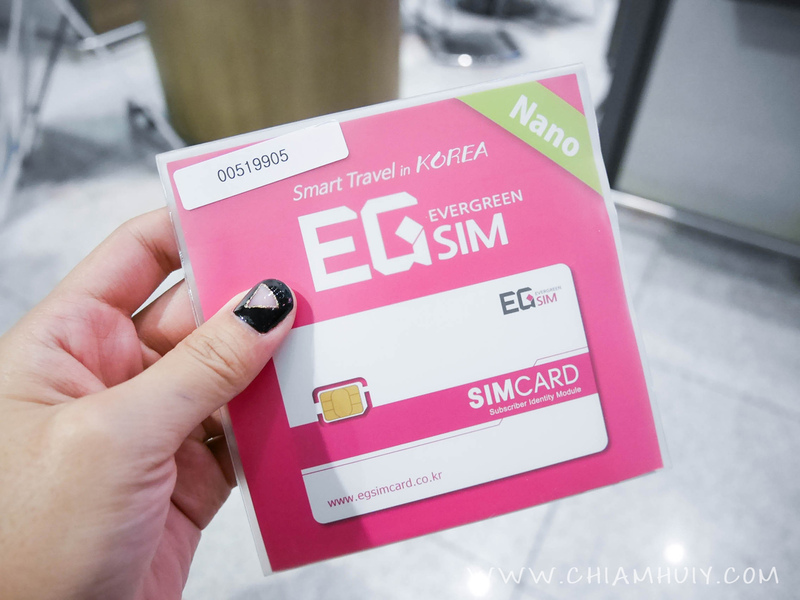 We got our mobile data Sim card from EG Sim, which collection place is pictured above. Got my sim card of 1gb data from EG Sim. It costs 29,900KRW for 1gb data and the sim card only expires in 60 days. My friend who went Korea after me rented a wifi egg instead and it costs 5,000 KRW per day with unlimited data. All in all, it depends if you would like to share the wifi device with your friend, or would like to use it yourself only. The two different data plans are great in different scenarios. They do sell snacks on the train, but you are also free to buy your snacks before boarding and enjoy them while on board. 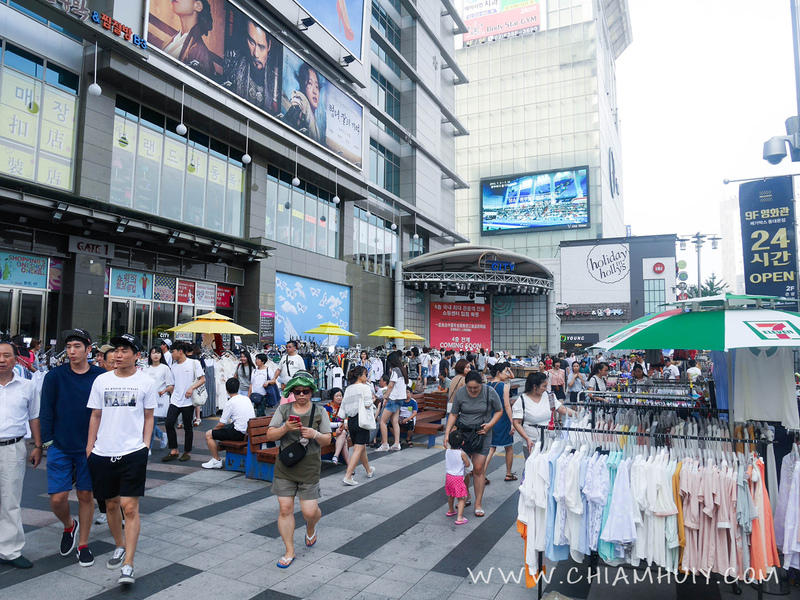 Myeongdong: Best shopping place for girls and fashionistas. Lots of cosmetics stores. Namdaemun for wholesale shopping. Not much trendy items here though. Dongdaemun: More of affordable clothing, street market style like Bangkok. Insadong: Cultural place, more for souvenirs. Garosugil: Trendy cafe streets. High end designer clothing. 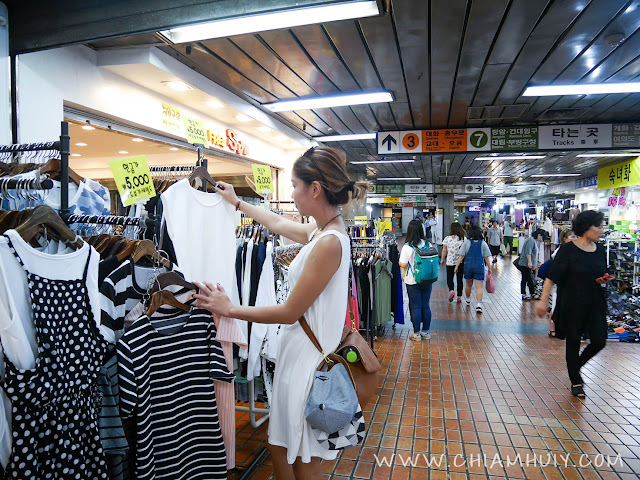 Express bus terminal underground shopping: A variety of cheap and expensive apparels. Most of these shopping districts close by 10pm. I would say my shopping experience here in Korea is quite limited. There wasn't much haggling unlike that in Bangkok because the prices are pretty much fixed. The only times when I wanted to get something are when the stuff are already quite cheap. Most of the store owners hardly speak english, even those in touristy areas. This means you may have to use hand language to communicate with them, or they may use a calculator to communicate the pricing with you. I had compiled a long list of shopping tips in Korea, in particular Myeong Dong. Have a read if you would like to know some tips!